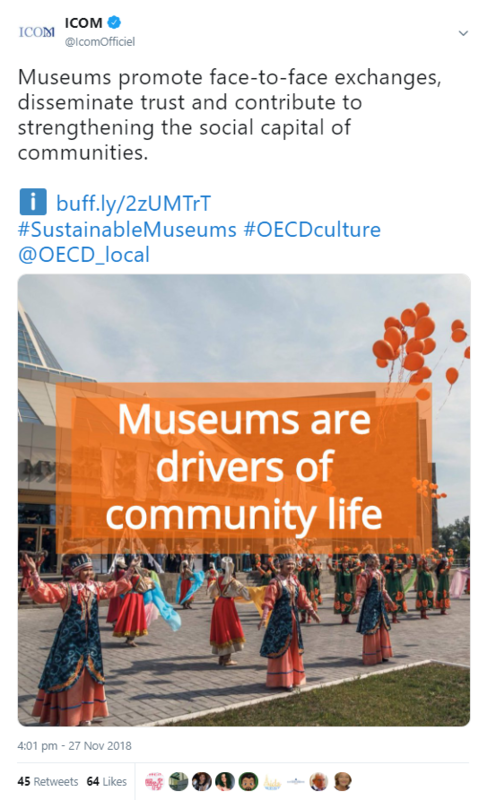 The Guide was presented during the OECD conference "Unleashing the Transformative Power of Culture and Creativity for Local Development". 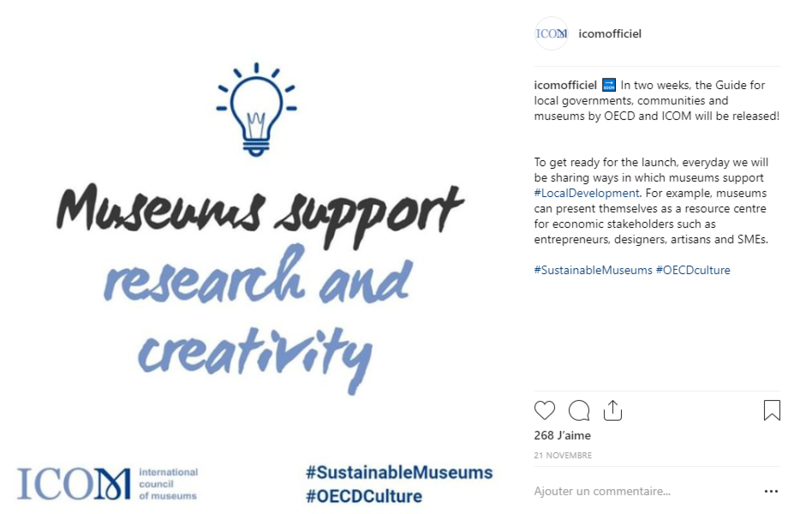 Cultural heritage is going through a period of transition. 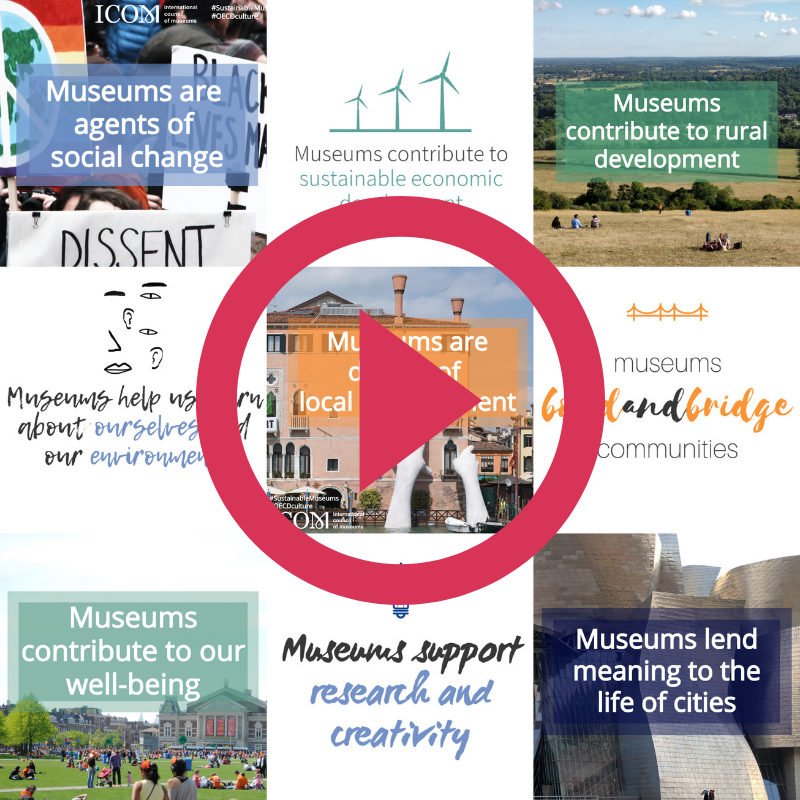 How can these transformations help fight social exclusion and make the most of the latest innovations? 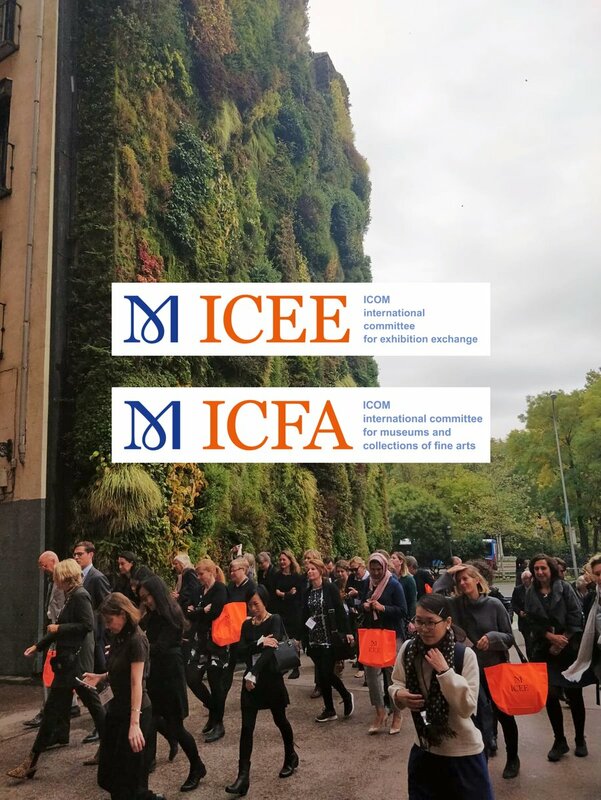 From the 11th to the 14th of November, ICOM ICEE and ICOM ICFA organised a joint conference in Madrid, Spain. 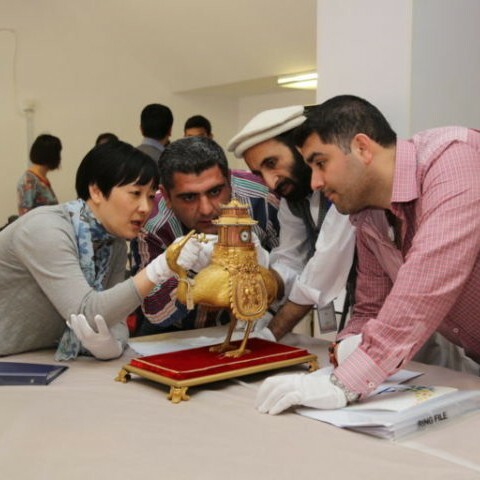 You still have time to apply for a grant to attend the next workshop of the ICOM International Training Centre for Museum Studies (ICOM-ITC), which will take place in Beijing, China, from 10 to 18 of April, 2019 . 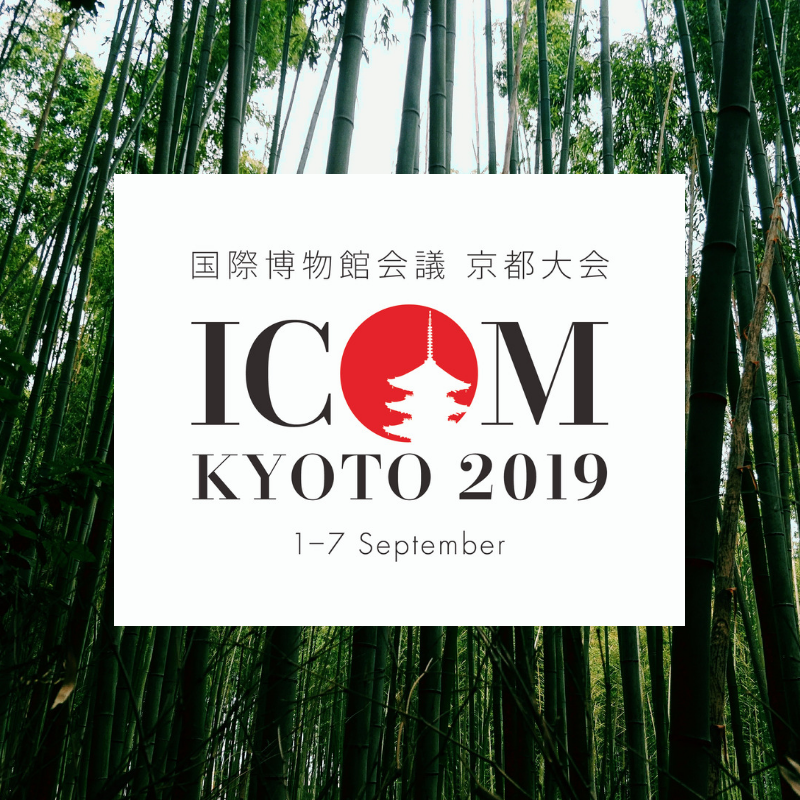 ICOM is grateful for the support of the Organising Committee of Kyoto 2019 to bring participants to attend the 25th ICOM General Conference to be held from 1 to 7 September in Kyoto, Japan. Deadline: December 13th. 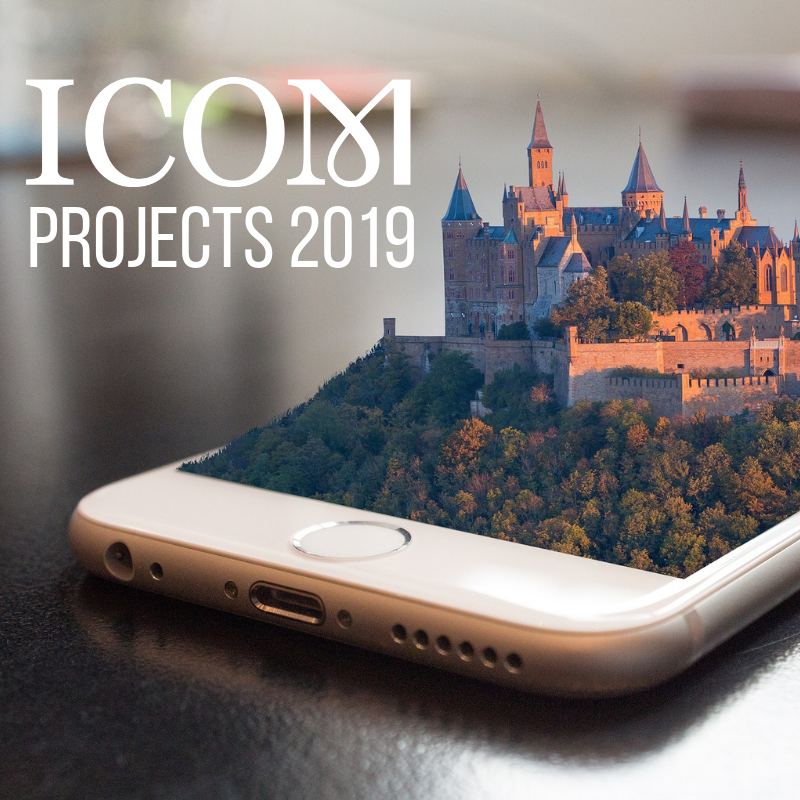 ICOM financially supports its network in the realisation of special projects. 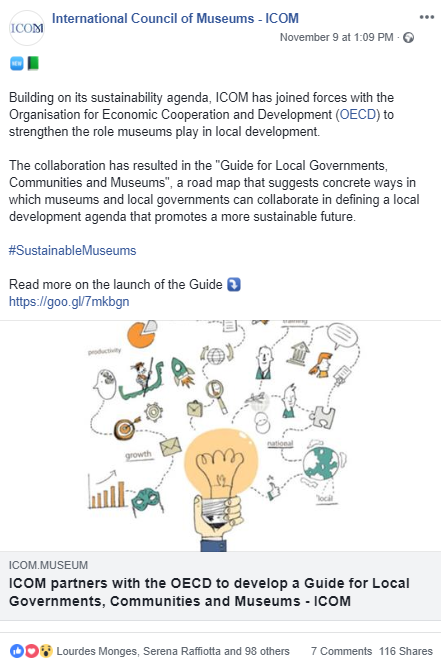 National and International Committees, as well as Regional Alliances and Affiliated Organisations that wish to apply for a subsidy, can apply until December 16th.